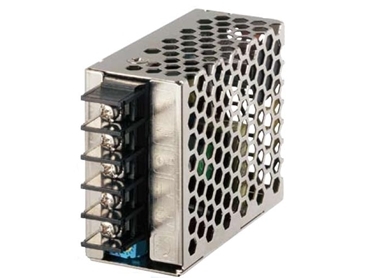 The PS3X Series switching power supplies from IDEC are designed to save space and keep costs low. The PS3X series is 70% smaller than conventional power supplies, allowing it to be used in most compact applications. Available in five output wattages (15W, 25W, 50W, 75W and 100W) with 5, 12 and 24V DC outputs, PS3X Series switching power supplies offer a variety of mounting options including direct or DIN rail mounting, providing flexibility to the user. PS3X series is UL recognised and CE marked, as well as EMC and EN55022 Class B compliant.